California Dance Company was f‍‍‍ounded by Sonya in 1996. We have over 20 years of bringing the love of dance to all ages by sharing its beauty, power, and vision in fresh and unique way!. We strive to make all of our dancers feel welcome and at home in our studios, whether they are competitive or recreational dancers. Our staff is invested in each dancer’s success, on and off the dance floor! We don’t just teach dance; we teach valuable life lessons too! Whether you are looking for an hour a week to have some fun and release some energy, or you are looking to train and improve your dance skills and technique, we have something to offer you! We pride ourselves on our varied schedule, with classes geared toward all levels and ages. We continue to look for opportunities to improve our studio, strengthen our dancers, and grow our staff! Neisa, a Chico native, has been dancing for over a decade! 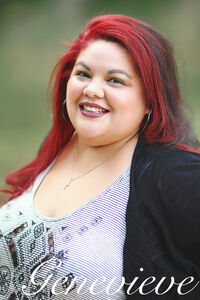 She began her training at Chico Creek Dance Centre in 2005 and soon after joined Full Force Dance Company. She has performed and/or choreographed for countless community events, as well as taught at several studios in the area. While attending Inspire School of Arts & Sciences, she studied dance, theatre arts, choreography, makeup and costume design, and was a teaching assistant for several classes. Upon graduating in 2012, she received both the Dancer of the Year & Choreographer of the Year awards. In 2014, Neisa moved across the country to Chicago, IL to attend school and continue her dance training. While there she made her dream come true and was asked to join The Kate Jablonski Statement, a professional dance company run by her biggest inspiration Kate Jablonski. However, due to an injury and subsequent illness, Neisa returned home to Northern California the following year. Neisa continues to teach and dance in the area and absolutely loves what she does! Marie has been dancing since she was three years old and joined CDC’s competitive team at age ten. She has won many awards, including Miss Teen Dance, California Arts Scholarship, numerous Top 10 Overall Awards, and CDC’s Senior Dancer Award. 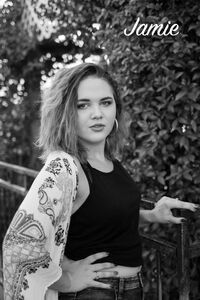 She has also performed for numerous local teams including Team Rave, Shasta College’s production of The Nutcracker and Chico’s Just Keep Dance Alive. She has taught dance classes and choreography at various dance studios in Southern California, including for Terry Schulke at Just Plain Dancin’. Her love for dance and performing has been one of the most satisfying pursuits of her life. Marie continues to teach and perform at every opportunity and is happy to be back at CDC! Chelsea is a Redding native. She started her dance training at the age of four, studying ballet, tap and jazz. Chelsea began teaching dance at the age of 16 and hasn’t stopped since! 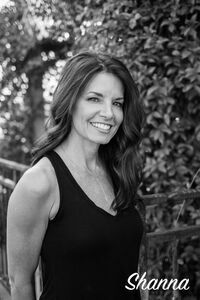 She has taught and choreographed for many different studios and programs in the north state, including Redding Dance Centre, Kid’s Unlimited, RCMTC, The Academy of Personalized Learning, California Dance Company and The Cascade Theatre. Chelsea continues to learn and renew her passion for dance through various teacher conventions and intensives. For the past decade, Chelsea has been dedicated to expanding and developing California Dance Company’s ballet program. She is so proud of how far the program and dancers have come and loves being a part of the CDC team! Sonya was born in Montreal, Canada, and started her dance training in Toronto. She has been in many competitions throughout Canada and the United States as a gymnast, figure skater, and dancer. Among her achievements, she was crowned California’s 1999 Entertainer of the Year in Fresno. At age 18 Sonya moved to Northern California. She opened her one room studio in 1996 with just a handful of students; now, over 20 years later, CDC is thriving with hundreds of students at 2 locations. Sonya takes beginning dancers and teaches them the determination, discipline, team building, poise, and self-confidence that one needs to become a professional dancer. Some of her students have become dancers for sports teams such as the Sacramento Kings, LA Lakers, Arizona Cardinals, and the San Fransisco 49ers. She has five dancers signed to top talent agencies in Hollywood. She has taken dancers to the World Dance Championships in Germany four times to represent the U.S.A, and in 2011 her dancer received the Gold medal in the Junior Solo division. This marked the first time the U.S. had ever had a World Champion in that division. Sonya has been the recipient of numerous scholarship, performance, and choreography awards at countless different events! 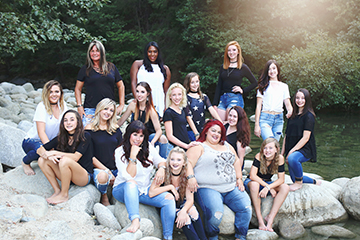 At the 2015 Spotlight Competition in Sacramento, CDC won the Distinguished Studio Award for impeccable technique, outstanding performance, and the diversity her dancers display in all genres of dance. In 2017, she received Choreographer of the Year from Energy National Dance Competition. Sonya is proud of the relationships she establishes with her students. They eventually grow up and leave to begin new chapters in their lives, but they still feel as if CDC is their second home and love to check in often. It is because of these lasting relationships that Sonya believes she and the CDC staff are not just teaching dance, but creating experiences and gifting life lessons that help shape their dancers into responsible, well-adjusted, life-loving adults. Sonya considers herself not just a dance teacher, but also a coach, counselor, and mentor. There is nothing more satisfying to her than watching her students open their wings and fly away to experience new adventures and to conquer new challenges. Sonya feels California Dance Company prepares them for both, with an open mind and much enthusiasm! Genevieve was born and raised in Indio, CA. In 1997 she made her way to CSU Chico where she earned her BA in Theater Arts with an emphasis in make-up, costume, hair design and dance choreography. She then earned her teaching credential in English and a Masters in Cross-Cultural Education. In 2005, she left Chico to pursue other dance opportunities. She since moved back to head and direct Full Force Dance Company, which she had founded in 2001. Genevieve has been teaching, coaching and choreographing up and down Califoria for over 15 years! She has trained at The Edge Performing Arts Center, Center Stage Dance Studio and Millennium Dance Complex in Los Angeles. Genevieve’s additional credits include: a Dave Scott scholarship, Full Force, Newbury Park High School, La Quinta High School, Palm Desert High School, Cathedral High School, College of the Desert, DIVA Dance Crew, Starlight Dance Studio, Studio 4, Dimension Dance Studio. Megan has been dancing since she was seven years old. She started recreationally and, within a year, competitively. She has competed in numerous dance competitions, placing overall in her dances as well as winning many Judges' Choice Awards. She was one of the dancers to place on the US Dance Team and compete in Riesa, Germany. 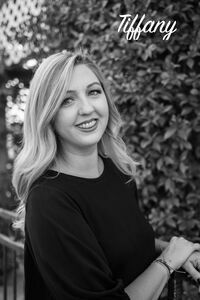 Megan taught at CDC during her Junior and Senior years of high school, and upon graduating further her dance career professionally by dancing for the Sacramento Kings Dance Team. After five years with the Kings, Megan is back and eager to share her love for dance by once again teaching and inspiring students at CDC! Tristan has been coaching for the last seven years, and is a Level 10 rated judge for Women's Gymnastics. His High Level team took first place at four of their six competitions this past season! Tristan choreographs all of his students' floor and beam routines. He even danced with CDC for a short time; you may have seen his tricks in the Boys' Only Hip Hop routines. Tristan loved to train students serious about gymnastics and tumbling! Jennifer began ballet at the age of two, and quickly added tumbling and cheer. In high school, she choreographed cheer and drama dance routines. She later found yoga, and has taken numerous workshops and classes in many different schools of yoga. Through yoga, Jennifer discovered aerial silks and circus arts. She currently climbs silks and takes workshops and private lessons with many different teachers including Cirque de Soliel artists, US aerial champions, Chinese handbalancing coaches, and as many aerialists as she can find! Jennifer has performed aerial and contortion with the Redding City Ballet’s The Nutcracker, Redding Fire Festival, Celtic festivals, private parties events, roller derbies, Humboldt Juggling Festival, and Taste of Willow Creek. She has taught yoga for 14 years, as well as dance, tumbling, adult aerial silks, and contortion workshops. Jennifer is very excited to share her skills with California Dance Company! Shanna began dancing at California Dance Company with her daughter Rachael in its inaugural year. For the next 15 years, she and her daughter trained in jazz, tap, ballet and hip hop and competed on the Intensive Team. Shanna also does a portion of the costume designing, fabrication and alterations for California Dance Company’s Intensive Program. 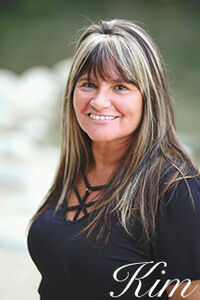 In 2000, Shanna began teaching and continued through 2011. After a 4 year hiatus to rehabilitate a knee injury, she is happy to again have the opportunity to again teach at California Dance Company! Shanna has immensely enjoyed learning Aerial Silks from fellow teacher Jennifer Deacon, as well as traveling to take Master Classes all over the state! Amanda McCarley was born and raised in Redding and started dancing ballet, tap, and jazz at the age of 6. She joined the CDC Intensive Team in 2013 and discovered her love for any other styles of dance such as Lyrical, Contemporary, Aerial Silks, and Hip Hop. Dance has been Amanda's passion all her life. She will now be starting her journey as a teacher and can't wait to share her knowledge and love of dance with her students! Tiffany has been a tumbling and gymnastics instructor for the past four and a half years. During that time she has coached beginning through advanced tumbling, as well as competition gymnastics. From childhood she has always had a strong desire to work with children. Tiffany has a passion for not only coaching but being a mentor to young boys and girls. Before she became a wife and mother, Tiffany volunteered as a cheerleading coach for 2 years. She was a competitive cheerleader from eight years old through high school, which is where she developed leadership and tumbling skills. Tiffany is certified in CPR/First Aid, and has her Region 1 gymnastics safety and instruction certification. 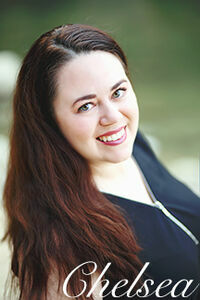 She is also an instructor at Cottonwood Creek Charter school for gymnastics and tumbling. Raven has been doing nothing but moving and grooving since the age of two! She started dancing at Valna-Rue School of Dance in San Diego taking jazz, tap, hip hop, and ballet. Around age thirteen, per passion for tap grew and she became a Jr. Principal dancer at Rhythmic Soles Tap Company. Choreographing came naturally to Raven as she began teaching Tiny Tots, as well as routines for JV and Varsity cheerleading in high school. After graduation, Raven moved up to northern California to attend CSU Chico. 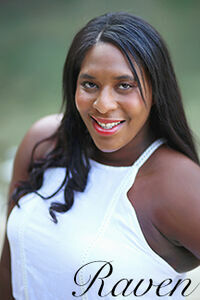 She is currently Assistant Director of Full Force Dance Company. 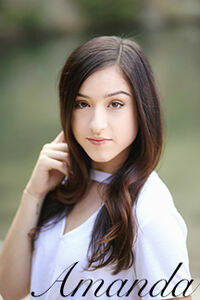 Ashley was born and raised in Southern California and began her dance training at the age of 6. Primarily a ballerina, Ashley has also taken Tap, Irish, Jazz, Ballroom and Modern. In 2004, she moved to Northern CA where she continued her ballet training at Redding City Ballet and, soon after, became a member of the Redding City Ballet Company. She started teaching at the age of 17, as well as choreographing many of her own pieces, ranging from solos to pas–de–duexs to group pieces. In 2009, she became the Outreach Instructor with the Redding City Ballet. Traveling to Weaverville, she sets choreography for The Nutcracker on local kids, who then get the chance to perform with the Redding City Ballet Company in the Weaverville production of The Nutcracker. Ashley still continues to teach and choreograph at several studios, wanting topass on her knowledge of the art to the younger generations.